M3: STK# J5L00650. ORIGINAL LIST PRICE (INCLUDES WINTER WHEEL/TIRE PKG): $84,761. BMW LEASE CREDIT AND OWNER LOYATLY: -$4,250. BMW OF ANCHORAGE SAVINGS: -$7,012. SPECIAL SALE PRICE: $73,499. 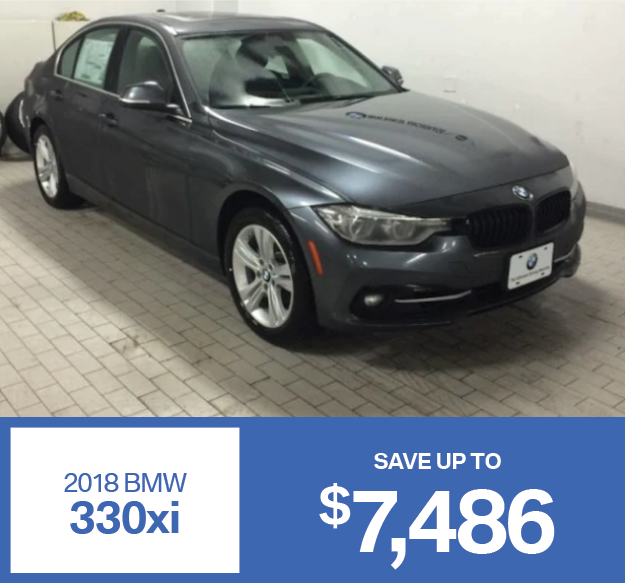 SAVINGS INCLUDE BMW LEASE CREDIT AND BMW OWNER LOYALTY TERMS AND CONDITIONS APPLY, SAVINGS VARY IF LEASED. PLEASE SEE A CLIENT ADVISOR FOR DETAILS. PRICE INCLUDES WINTER TIRE AND WHEEL PACKAGE. 320XI: STK# JA499522. ORIGINAL LIST PRICE: $43,404. 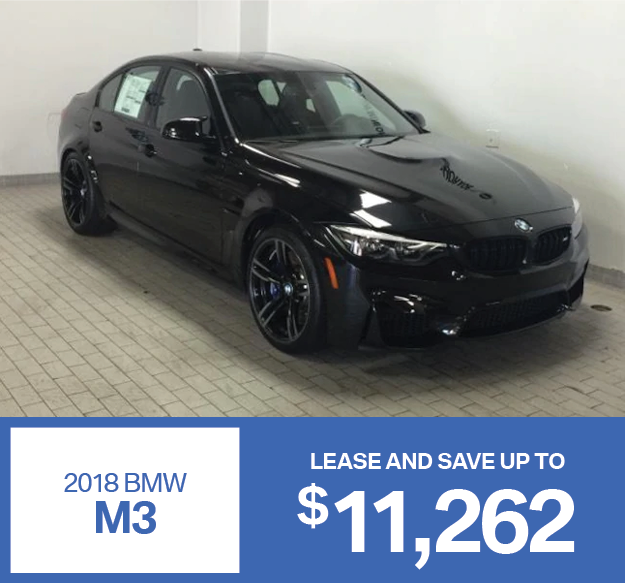 LEASE CREDIT AND BMW OWNER LOYALTY: -$3,750. HOLIDAY SPECIAL DISCOUNT: -$1,655. SPECIAL SALE PRICE: $37,499. PRICE INCLUDES $200 DEALER DOC FEE. 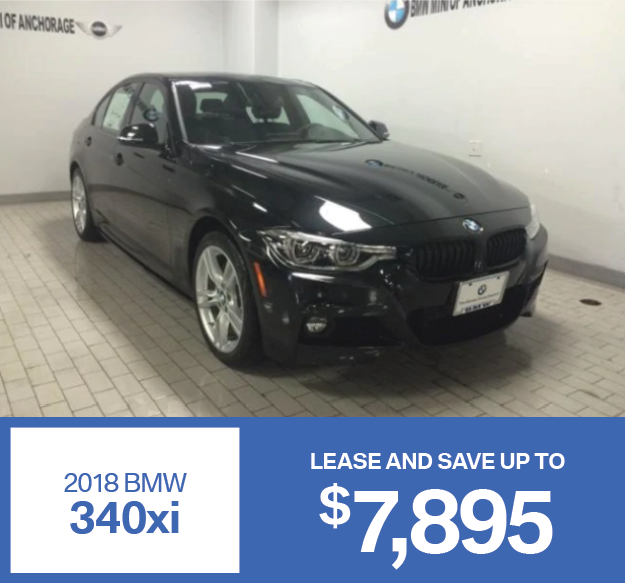 DISCOUNT INCLUDES LEASE CREDIT AND BMW OWNER LOYALTY CREDIT. NOT ALL CUSTOMERS QUALIFY FOR ALL INCENTIVES. TERMS AND CONDITIONS APPLY, SAVINGS VARY IF LEASED. PLEASE SEE A CLIENT ADVISOR FOR DETAILS. BOTH: PRICE PLUS TAX, TITLE AND LICENSE. PRICES INCLUDE $200 DEALER DOC FEE. EXPIRES 1/31/19. BLACK: STK# JB085623. ORIGINAL LIST PRICE: $59,939. APR CREDIT AND BMW OWNER LOYALTY: -$5,500. BMW OF ANCHORAGE SAVINGS: -$3,500. SPECIAL SALE PRICE: $50,939. DISCOUNT INCLUDES APR CREDIT AND BMW OWNER LOYALTY CREDIT. NOT ALL CUSTOMERS QUALIFY FOR ALL INCENTIVES. TERMS AND CONDITIONS APPLY, SAVINGS VARY IF LEASED. PLEASE SEE A CLIENT ADVISOR FOR DETAILS. WHITE: STK# JB374877. ORIGINAL LIST PRICE: $60,979. APR CREDIT AND BMW OWNER LOYALTY: -$5,500. BMW OF ANCHORAGE SAVINGS: -$3,500. SPECIAL SALE PRICE: $51,679.00. PRICE INCLUDES $200 DEALER DOC FEE. 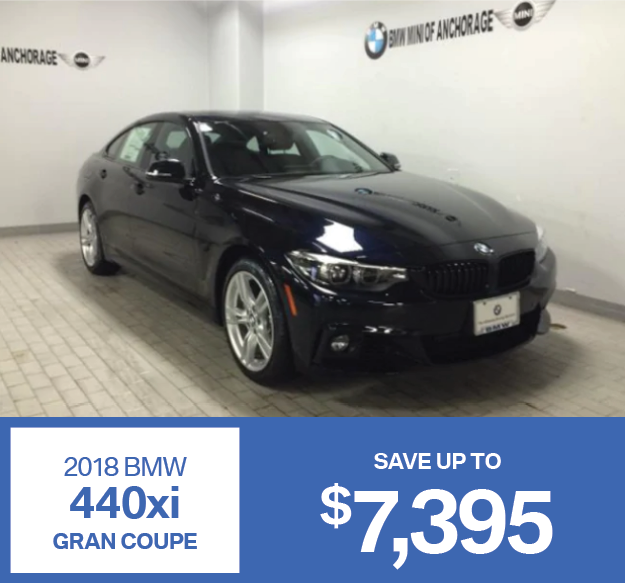 DISCOUNT INCLUDES APR CREDIT AND BMW OWNER LOYALTY CREDIT. NOT ALL CUSTOMERS QUALIFY FOR ALL INCENTIVES. TERMS AND CONDITIONS APPLY, SAVINGS VARY IF LEASED. PLEASE SEE A CLIENT ADVISOR FOR DETAILS. BOTH: PRICE PLUS TAX, TITLE AND LICENSE. PRICES INCLUDE $200 DEALER DOC FEE. EXPIRES 1/31/19. SILVER: STK# JG909602. ORIGINAL LIST PRICE: $60,724. APR CREDIT AND BMW OWNER LOYALTY: -$4,500. BMW OF ANCHORAGE SAVINGS: -$3,500. SPECIAL SALE PRICE: $52,724. PRICE INCLUDES $200 DEALER DOC FEE. 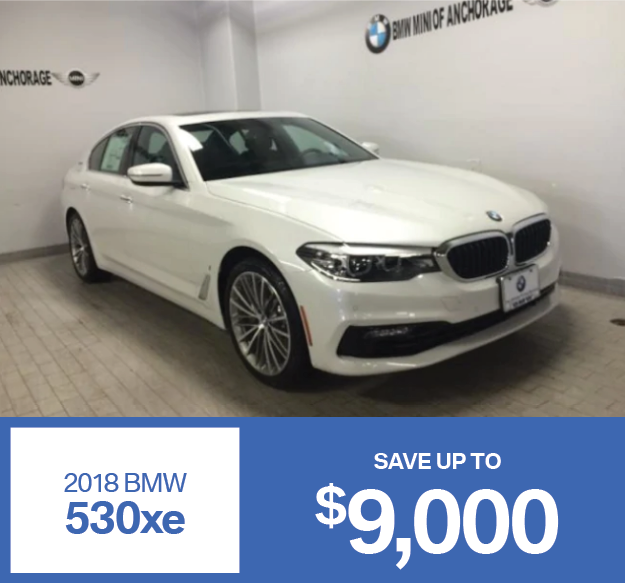 DISCOUNT INCLUDES APR CREDIT AND BMW OWNER LOYALTY CREDIT. NOT ALL CUSTOMERS QUALIFY FOR ALL INCENTIVES. TERMS AND CONDITIONS APPLY, SAVINGS VARY IF LEASED. PLEASE SEE A CLIENT ADVISOR FOR DETAILS. BLACK: STK# JWC76050. ORIGINAL LIST PRICE: $65,189. APR CREDIT AND BMW OWNER LOYALTY: -$4,500. BMW OF ANCHORAGE SAVINGS: -$3,500. SPECIAL SALE PRICE: $57,189. PRICE INCLUDES $200 DEALER DOC FEE. 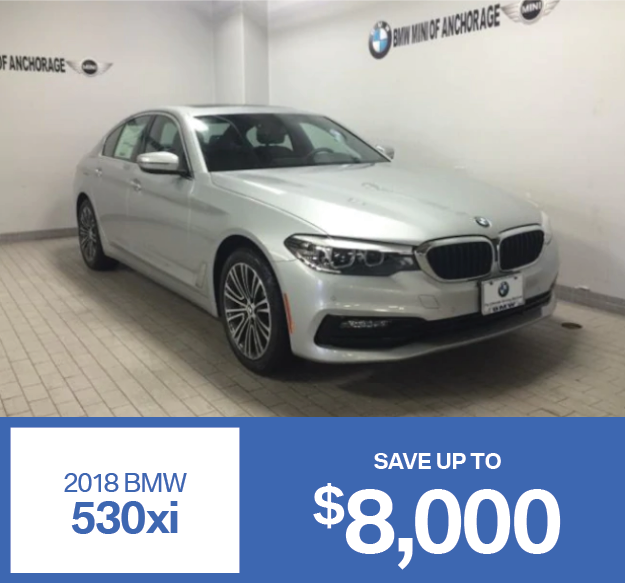 DISCOUNT INCLUDES APR CREDIT AND BMW OWNER LOYALTY CREDIT. NOT ALL CUSTOMERS QUALIFY FOR ALL INCENTIVES. TERMS AND CONDITIONS APPLY, SAVINGS VARY IF LEASED. PLEASE SEE A CLIENT ADVISOR FOR DETAILS. BOTH: PRICE PLUS TAX, TITLE AND LICENSE. PRICES INCLUDE $200 DEALER DOC FEE. EXPIRES 1/31/19. 530XI: STK# JWC76011. ORIGINAL LIST PRICE: $61,324. APR CREDIT AND BMW OWNER LOYALTY: -$4,500. BMW OF ANCHORAGE SAVINGS: -$3,500. SPECIAL SALE PRICE: $53,324. PRICE INCLUDES $200 DEALER DOC FEE. 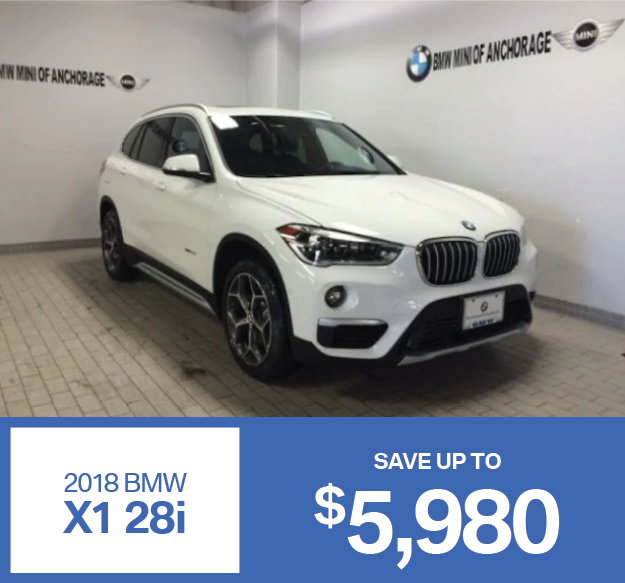 DISCOUNT INCLUDES APR CREDIT AND BMW OWNER LOYALTY CREDIT. NOT ALL CUSTOMERS QUALIFY FOR ALL INCENTIVES. TERMS AND CONDITIONS APPLY, SAVINGS VARY IF LEASED. PLEASE SEE A CLIENT ADVISOR FOR DETAILS. 540XI: STK# JWC57593. ORIGINAL LIST PRICE: $73,074. APR CREDIT AND BMW OWNER LOYALTY: -$4,500. BMW OF ANCHORAGE SAVINGS: -$3,500. SPECIAL SALE PRICE: $65,074. PRICE INCLUDES $200 DEALER DOC FEE. 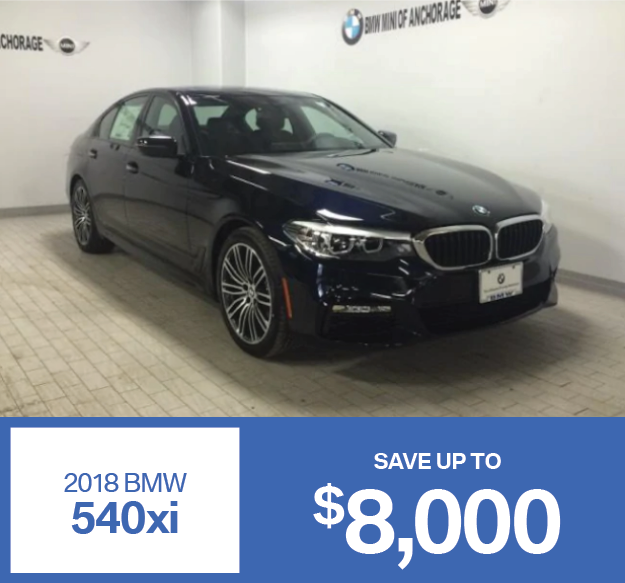 DISCOUNT INCLUDES APR CREDIT AND BMW OWNER LOYALTY CREDIT. NOT ALL CUSTOMERS QUALIFY FOR ALL INCENTIVES. TERMS AND CONDITIONS APPLY, SAVINGS VARY IF LEASED. PLEASE SEE A CLIENT ADVISOR FOR DETAILS. BOTH: PRICE PLUS TAX, TITLE AND LICENSE. PRICES INCLUDE $200 DEALER DOC FEE. EXPIRES 1/31/19. 440XI: STK# JBH15298. ORIGINAL LIST PRICE: $63,894. APR CREDIT AND BMW OWNER LOYALTY: -$5,000. BMW OF ANCHORAGE SAVINGS: -$2,395. SPECIAL SALE PRICE: $56,499. PRICE INCLUDES $200 DEALER DOC FEE. 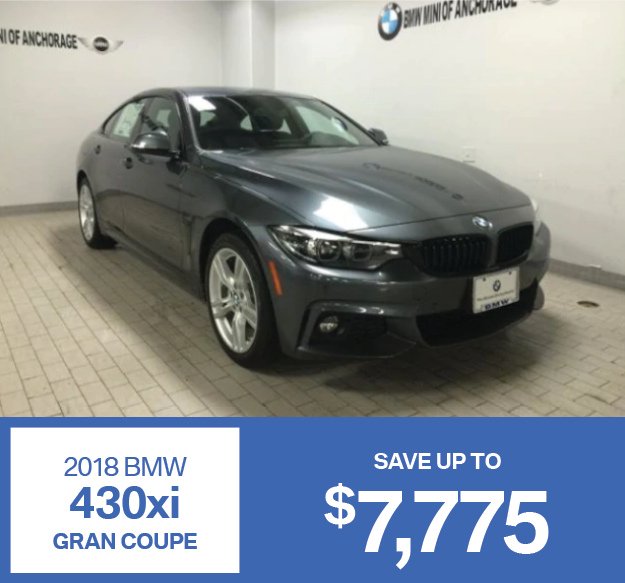 DISCOUNT INCLUDES APR CREDIT AND BMW OWNER LOYALTY CREDIT. NOT ALL CUSTOMERS QUALIFY FOR ALL INCENTIVES. TERMS AND CONDITIONS APPLY, SAVINGS VARY IF LEASED. PLEASE SEE A CLIENT ADVISOR FOR DETAILS. 430XI: STK# JBL04266. ORIGINAL LIST PRICE: $57,274. APR CREDIT AND BMW OWNER LOYALTY: -$5,000. BMW OF ANCHORAGE SAVINGS: -$2,775. SPECIAL SALE PRICE: $49,499. PRICE INCLUDES $200 DEALER DOC FEE. 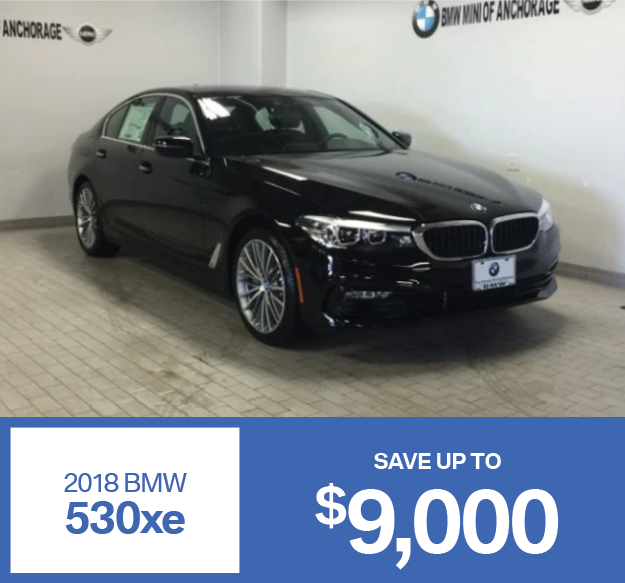 DISCOUNT INCLUDES APR CREDIT AND BMW OWNER LOYALTY CREDIT. NOT ALL CUSTOMERS QUALIFY FOR ALL INCENTIVES. TERMS AND CONDITIONS APPLY, SAVINGS VARY IF LEASED. PLEASE SEE A CLIENT ADVISOR FOR DETAILS. BOTH: PRICE PLUS TAX, TITLE AND LICENSE. PRICES INCLUDE $200 DEALER DOC FEE. EXPIRES 1/31/19. 330XI: STK# JNU67066. ORIGINAL LIST PRICE: $50,735. LEASE CREDIT AND BMW OWNER LOYALTY: -$4,250. BMW OF ANCHORAGE SAVINGS: -$3,236. SPECIAL SALE PRICE: $43,249. PRICE INCLUDES $200 DEALER DOC FEE. 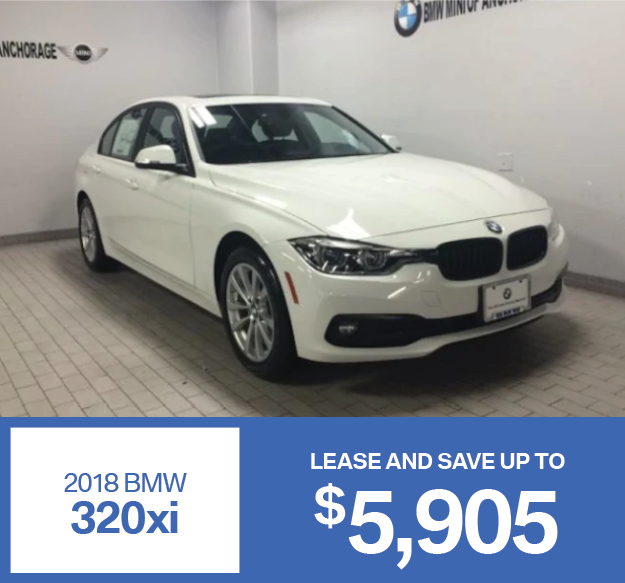 DISCOUNT INCLUDES LEASE CREDIT AND BMW OWNER LOYALTY CREDIT. NOT ALL CUSTOMERS QUALIFY FOR ALL INCENTIVES. TERMS AND CONDITIONS APPLY, SAVINGS VARY IF LEASED. PLEASE SEE A CLIENT ADVISOR FOR DETAILS. 340XI: STK# JNT71198. ORIGINAL LIST PRICE: $62,144. LEASE CREDIT AND BMW OWNER LOYALTY: -$4,750. 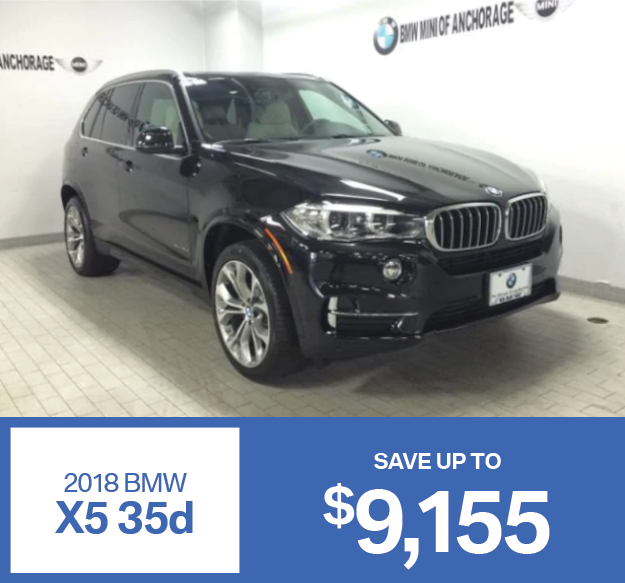 BMW OF ANCHORAGE SAVINGS: -$3,145. SPECIAL SALE PRICE: $54,249. PRICE INCLUDES $200 DEALER DOC FEE. DISCOUNT INCLUDES APR CREDIT AND BMW OWNER LOYALTY CREDIT. NOT ALL CUSTOMERS QUALIFY FOR ALL INCENTIVES. TERMS AND CONDITIONS APPLY, SAVINGS VARY IF LEASED. PLEASE SEE A CLIENT ADVISOR FOR DETAILS. BOTH: PRICE PLUS TAX, TITLE AND LICENSE. PRICES INCLUDE $200 DEALER DOC FEE. EXPIRES 1/31/19. X5: STK# J0Z89949. ORIGINAL LIST PRICE: $72,654. APR CREDIT AND BMW OWNER LOYALTY: -$6,500. BMW OF ANCHORAGE SAVINGS: -$2,655. SPECIAL SALE PRICE: $63,499. 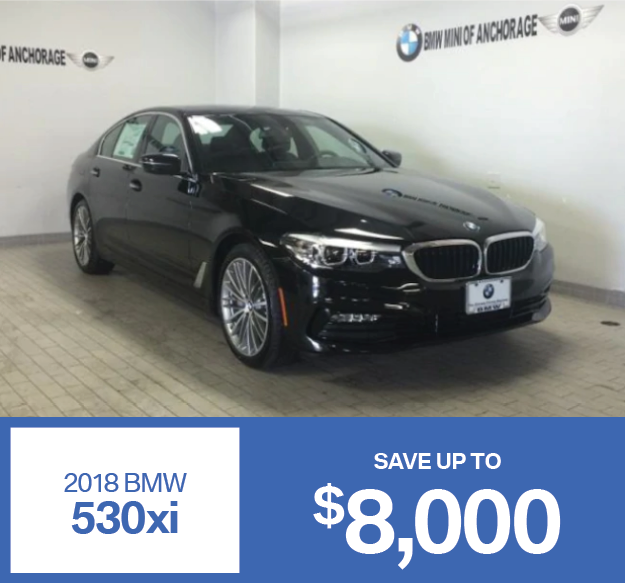 DISCOUNT INCLUDES APR CREDIT AND BMW OWNER LOYALTY CREDIT. NOT ALL CUSTOMERS QUALIFY FOR ALL INCENTIVES. TERMS AND CONDITIONS APPLY, SAVINGS VARY IF LEASED. PLEASE SEE A CLIENT ADVISOR FOR DETAILS. X1: STK# J5L24435. ORIGINAL LIST PRICE: $46,479. APR CREDIT AND BMW OWNER LOYALTY: -$4,500. BMW OF ANCHORAGE SAVINGS: -$1,480. SPECIAL SALE PRICE: $40,499. 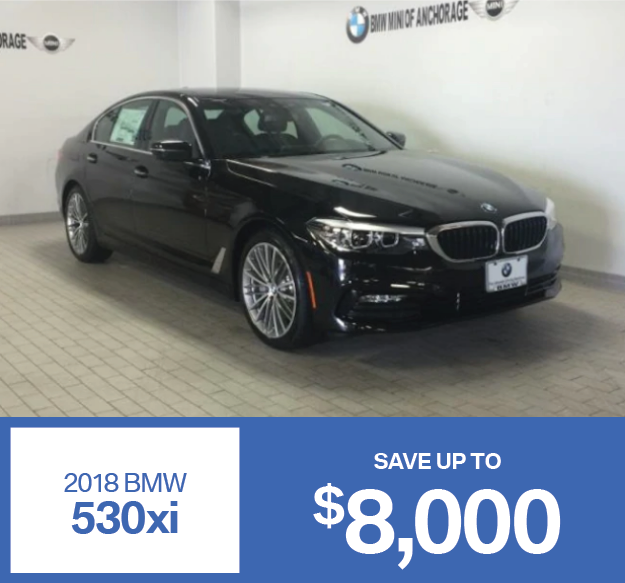 DISCOUNT INCLUDES APR CREDIT AND BMW OWNER LOYALTY CREDIT. NOT ALL CUSTOMERS QUALIFY FOR ALL INCENTIVES. TERMS AND CONDITIONS APPLY, SAVINGS VARY IF LEASED. PLEASE SEE A CLIENT ADVISOR FOR DETAILS. BOTH: PRICE PLUS TAX, TITLE AND LICENSE. PRICES INCLUDE $200 DEALER DOC FEE. EXPIRES 1/31/19.